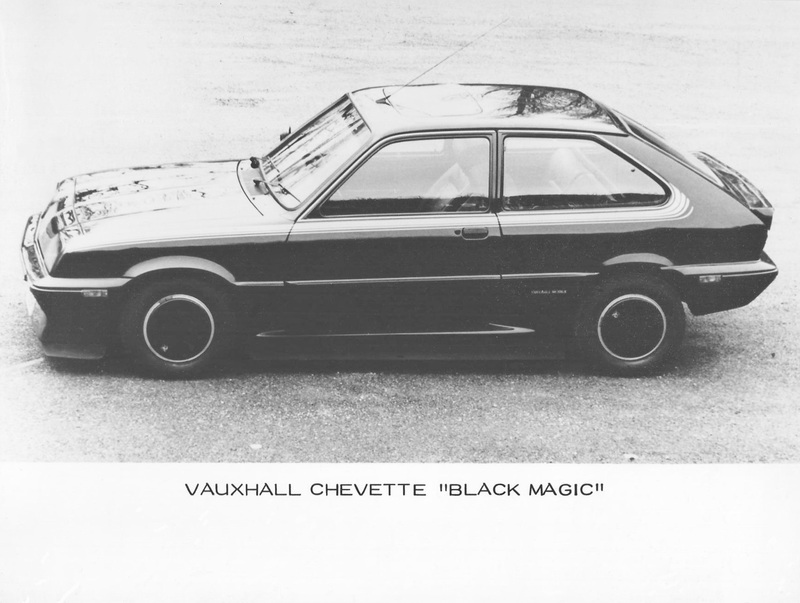 The Chevette Black Magic Concept was first displayed publically at the October 1979 Motor Show and added some glamour to an otherwise uneventful show for Vauxhall, it also featured flush fitting headlamps which were just being fitted to the revised 1980 Chevette models. However, the Concept Car on display was not, as was usual, something done specifically for the event, in fact it had much more humble beginnings going back to the latter part of 1975. 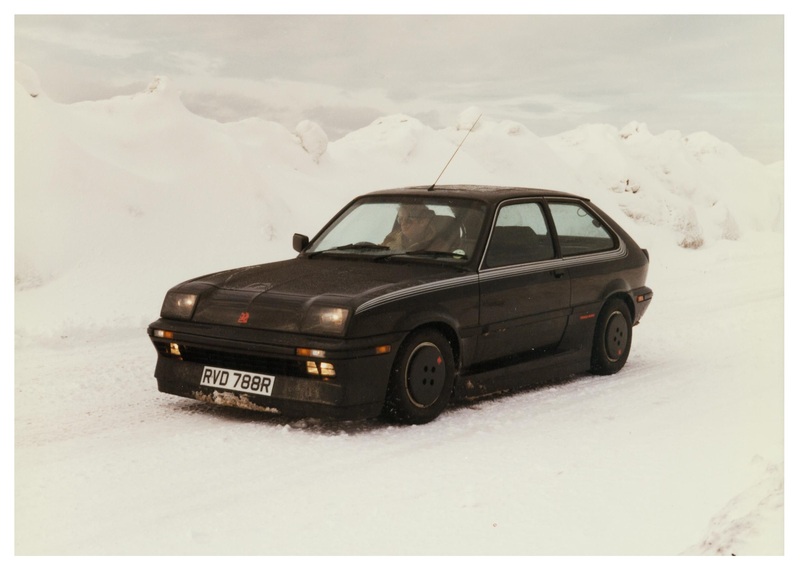 Bob Price, Vauxhall’s Managing Director, was famous for initiating hundreds of highly detailed memos, notes and ideas that were nicknamed “Snowflakes” within Vauxhall. A large percentage of these related to the Design & Engineering Department with ideas of different concepts, models, trim updates etc. 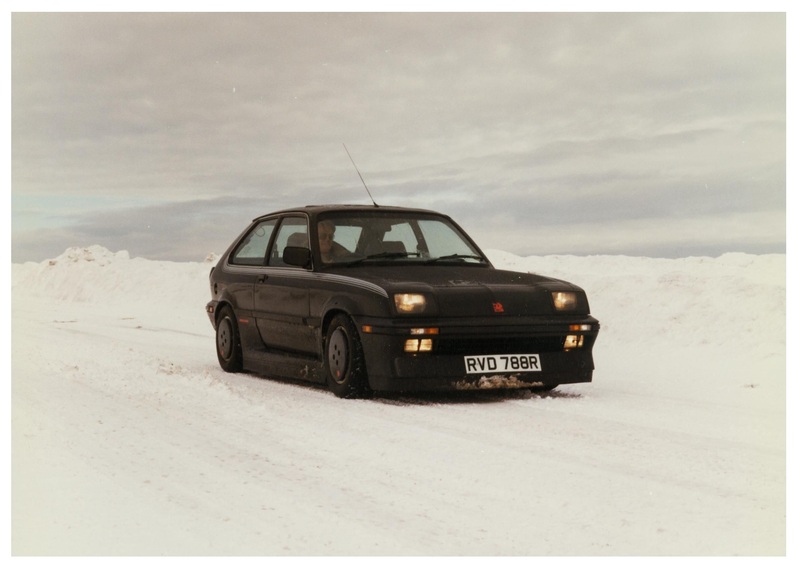 One of these “Snowflakes” related to what Vauxhall could do to get into rallying and put a stop to all those pesky Ford Escorts winning everything. 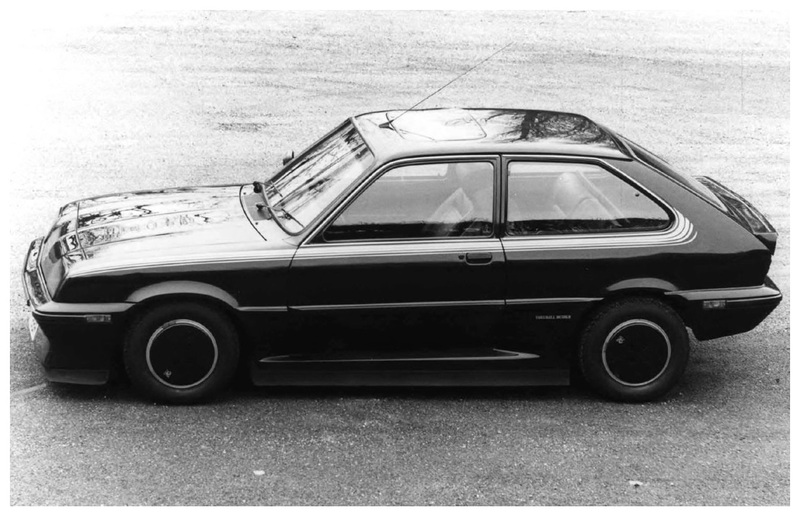 The most obvious choice might have been the Cavalier Coupe, Opel had already had some success with the Manta in rallying as well as with the Kadett Coupe. 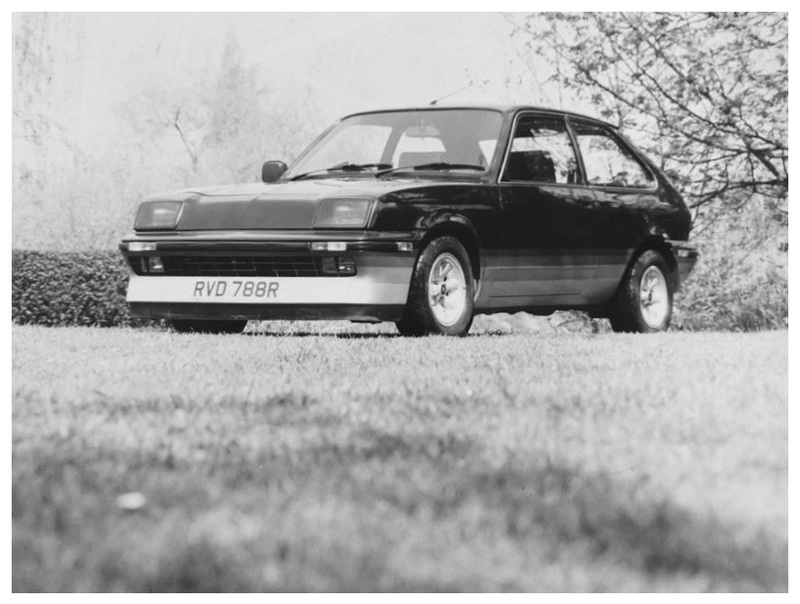 After consultation with Bill Blydenstein it was decided that the best power to weight ratio could be achieved by fitting the 2.3 litre slant four engine in the Chevette Hatch and, as it turned out, controversially using a Lotus twin cam head but that’s another story. 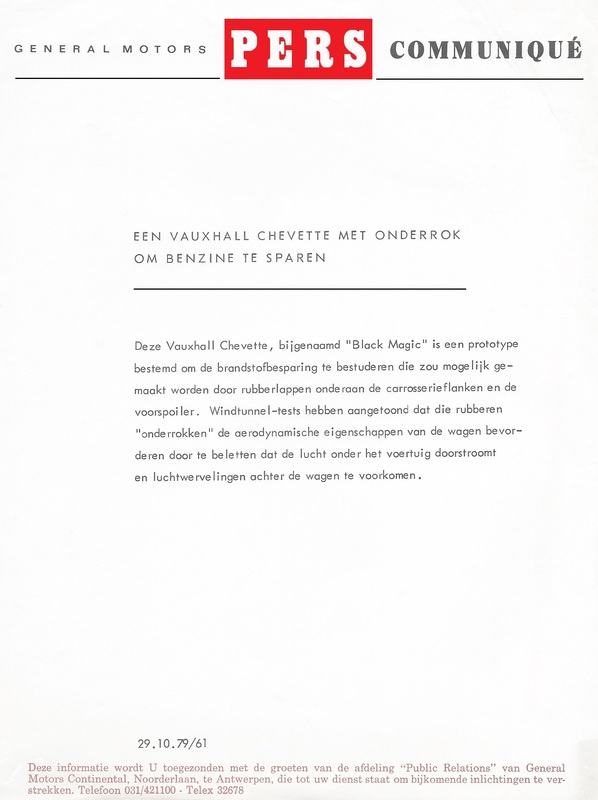 The first problem was would the engine fit, it did and by using a combination of Vauxhall and Opel Kadett GT/E parts it worked, there was a plan B which would have meant using the Opel fuel injected CIH engine but the preference was to use the Vauxhall engine if at all possible. The next part of the project was to revise the standard Chevette Hatch to make the car look more aggressively sporting along with a suitably upmarket interior. 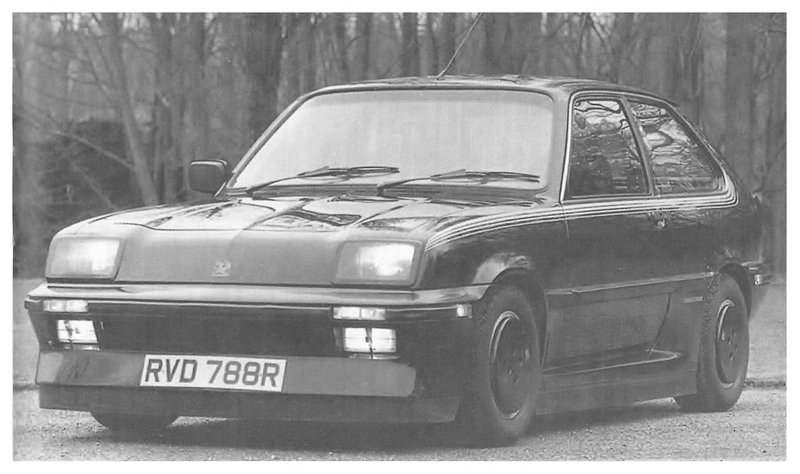 In order to qualify for entry in the rally class that Vauxhall wanted it would mean producing a minimum of 400 road cars on which the rally version could be based. At this stage the projected production volume was actually higher but still small scale by mass production standards. Wayne Cherry’s team set about the design, with one of the main priorities to improve the aerodynamics of the Chevette Hatch, which in standard form was not bad by the standards of the day but would be inadequate for a car that would have a top speed well in excess of 100mph. The team at Luton were well versed in the art of aerodynamics with experience gained from the SVR Concept of 1970 and also the development work & changes made to the HP Firenza. Although it was not the chosen as the final production design the car pictured here was actually registered for road use, by Wayne Cherry himself to replace his previous “company car” the Silver Bullet Firenza. The car featured the twin cam slant four that would be used in the production HS, complete with Lotus head. Body wise the changes including a completely unique glass fibre front & rear end design with the front featuring a much lower spoiler and also a flexible rubber moulding that was just inches off the ground to improve aerodynamics and front end lift at speed. 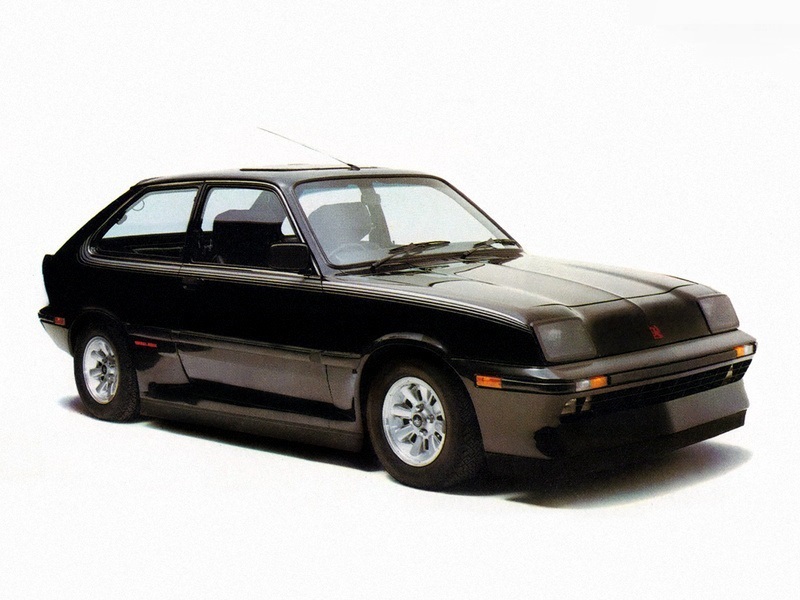 It also featured smoked, flush fitting smoked glass front headlamps that would appear four years later, minus the smoked glass, on the 1980 standard Chevette. Front and rear fog lights were incorporated along with side indicator repeater lamps. The paintwork was primarily black with the lower half, below the wheelarch level, in five banded shades of silver grey. The wheels were shared with the Chevrolet Vega in the US and were also similar in appearance to those fitted to the HP Firenza and were also fitted to the production version of the HS. 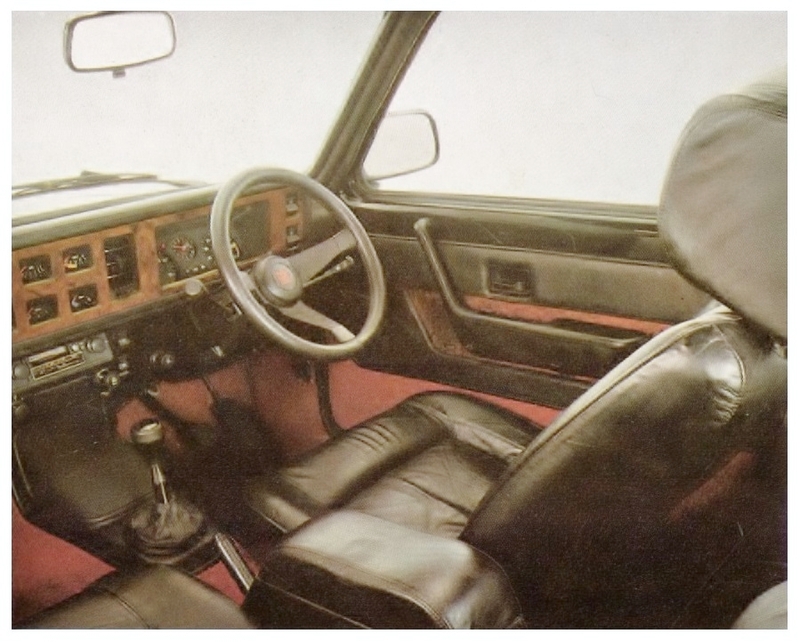 The interior was far removed from the standard Chevette or the final production HS. 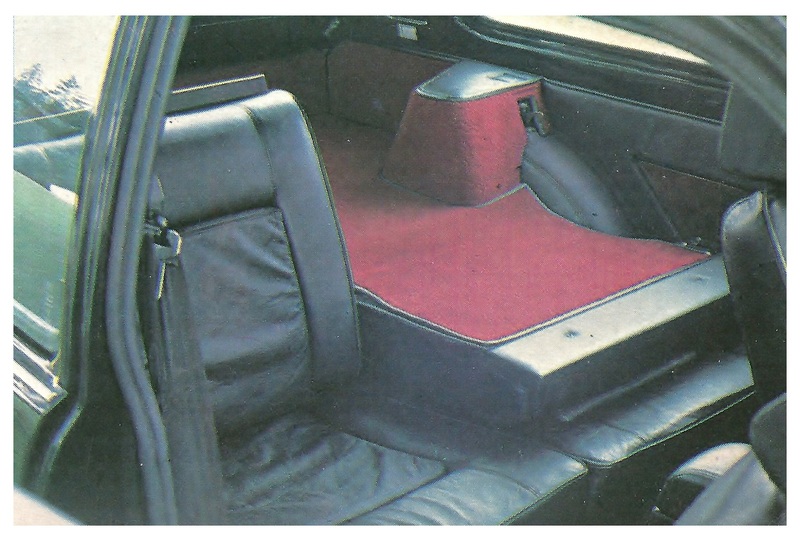 All the seats, door cards and side trimming was in black leather. The front seats were bigger than normal, electrically heated using modified Cadillac items from the US and also moved further back, Wayne Cherry was six foot three tall, and meant that rear leg room was almost zero. The rear seats did feature some noval forward thinking for the time as they were folding with a 50 – 50 split. There was no external release for the tailgate this is done from a handle (the same as the internal door handle) mounted upright in the drivers footwell via cable to the rear. The rear spoiler was actually hand made from wood and caused problems with painting & the finish cracking. place. 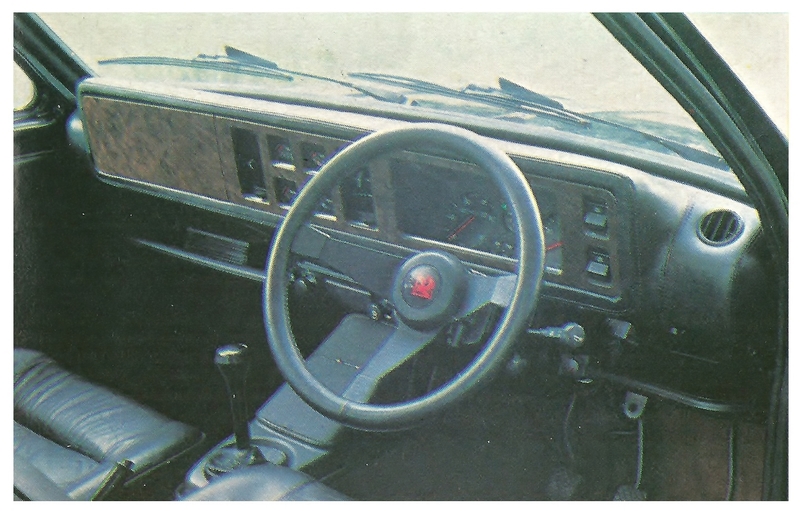 Another individual feature was side air vents at either end of the dashboard, smaller versions would end up being fitted to the 1980 Chevette. So the car was used as Wayne Cherry’s personal for the next few years, but all was not well with the car, the unique front end design was significantly different from the production version and although was aerodynamically efficient it failed to allow enough cooling air for sustained high speed running with the twin cam engine. After two head gasket failures from overheating the twin cam engine was replaced by a single cam unit which was quoted as producing 118bhp which is strange because no production slant four engine was quoted with the same power. At the same time, and with the changes in the pipeline being made for major changes for the Chevette for the 1980 model year, Cherry’s team decided to take the aerodynamics of the car to a whole new level. Enter Black Magic. Although the basic car was unchanged front and rear, apart from bold lettering spelling out Vauxhall between the rear lights, the same principle of using thick flexible rubber skirts fitted to the front were applied to the side of the car complete with an aerodynamic side body kit with a side skirt depth of 3.25 inches and colour keyed side rubbing strips which were in line with the front and rear bumper line and this time the whole car was repainted in black – hence the name. The car was also fitted initially with specially developed wheel covers which again improved aerodynamics although did not look very pretty and were not used in the publicity for the car where it was pictured with the same wheels as before. 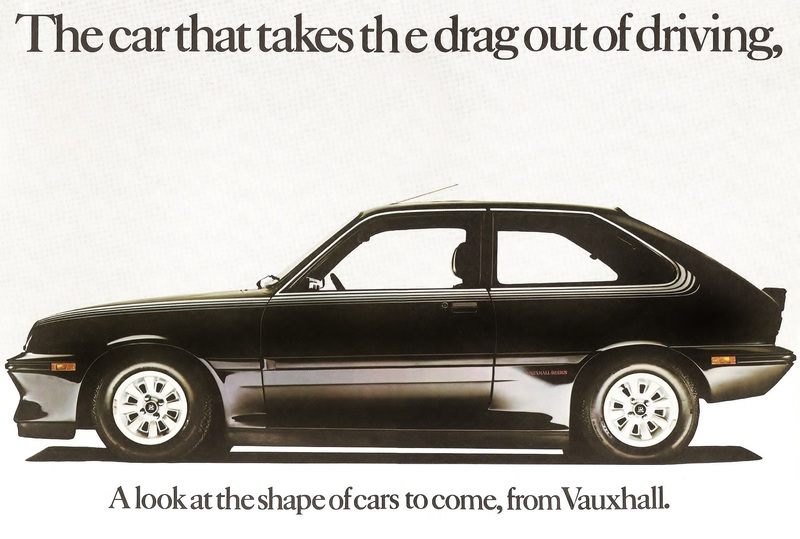 The transformation was stunning and effective, the total reduction in drag was 20.42% better than the normal Chevette with new skirts and the flush wheel covers. This was in addition to the 52.5% reduction in front end lift & 37.3% reduced rear end lift that had already been achieved with the revised front and rear end bumper design and tailgate spoiler. Unfortunately, all the additions meant that there were no jacking points, the normal Chevette had one each side which lifted the whole side of the car off the ground. 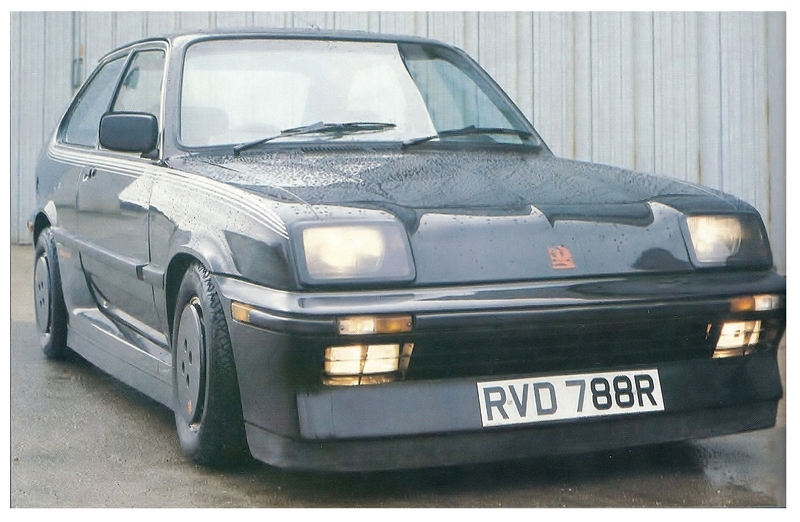 Vauxhall Sportparts dealers could even supply the body kit but it was very expensive, difficult to fit and very few were sold. 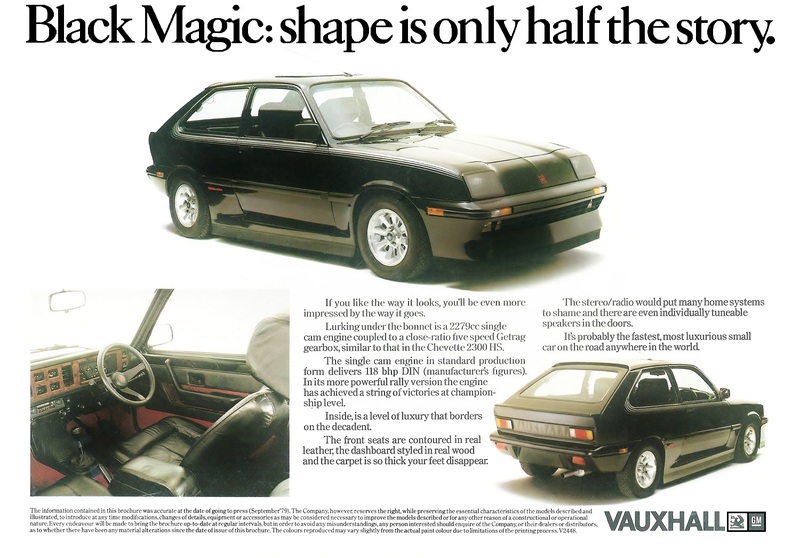 Black Magic was the star attraction on the Vauxhall stand at the 1979 Motor Show and it was yet more evidence of the sheer brilliance of the Vauxhall Design Team at Luton and it was the epitomy of Wayne Cherry's DRG (Down the Road Graphics) design principle.